My brother (Jon) got married July 4 in Florida. We decided to stay for a week while we were there. Photos of the wedding are not included in this web page. 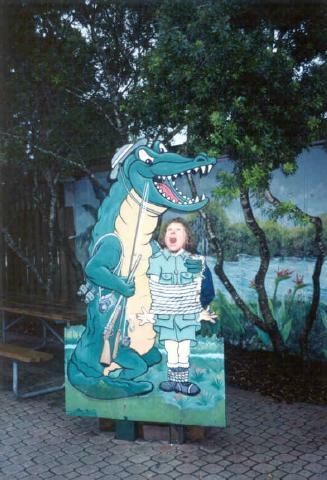 Winny about to be eaten by an alligator. This was taken at Gatorland near Orlando. 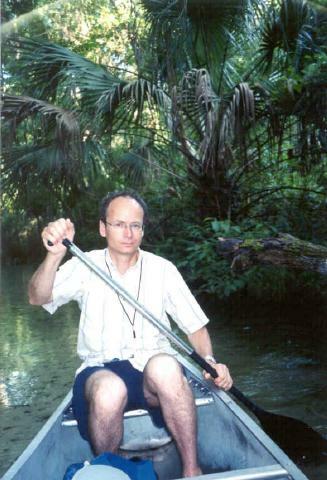 We rented a canoe at Juniper Springs and paddled the Juniper Run - about 8 miles. We saw two alligators along the way. 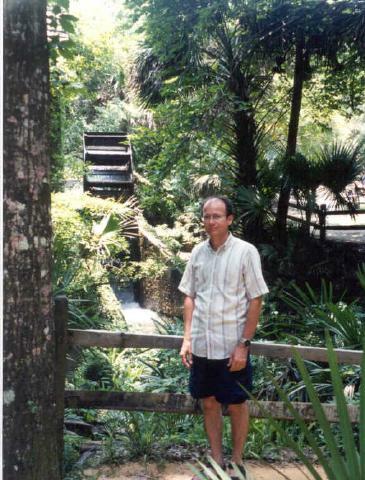 Mark in front of the waterwheel at Juniper Springs. 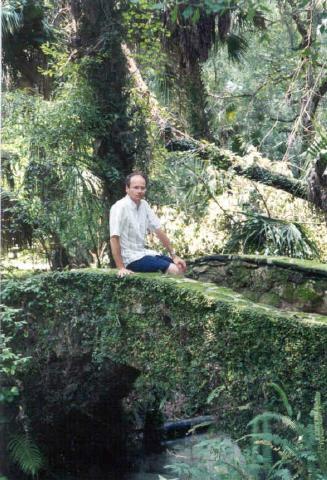 Mark on a moss-covered bridge over Juniper Creek. 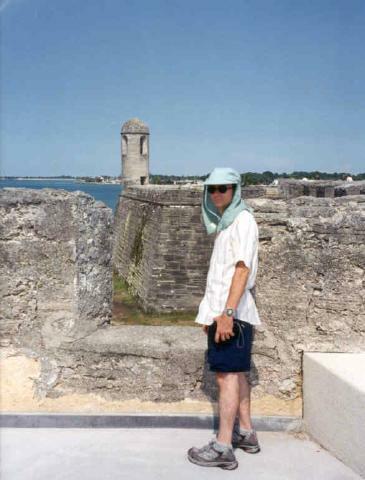 The fort at St. Augustine.